Unofficial results for mayoral positions of 227 posts have so far been announced. 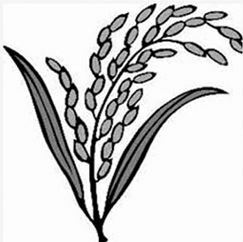 Bangladesh Awami League (AL) won 177, Bangladesh Nationalist Party (BNP) – 22, Jatiya Party (JP)-1 and others – 25. BNP-led 20 parties alliance rejected municipal polls 2015 results. Voting took accross Bangladesh at around 3,500 centres simultaneously on December 30, 2015. Votes casting began in first ever partisan elections to 234 municipalties across Bangladesh on Wednesday morning December 30, 2015. 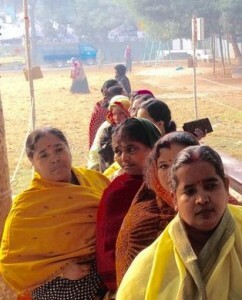 The voters can cast his or her vote from 8:00am to 4:00pm from the voting center under his/her voting area. A man was killed Wednesday when supporters of 2 councillor candidates traded gunshots in Satkania upazila, Chittagong. At least 10 people including an election official have been injured after AL supporters clashed with Police deployed at a polling station in Barguna Municipality. 2 Journalists of ATN News Sourav Habib and Rabiul Islam have been detained in Rajshahi for trying to enter a BGB camp without legal permission. Police have arrested 2 men after the supporters of the AL and BNP mayoral candidates clashed at Bajitpur Municipality in Kishoreganj. Atleast 7 people were injured in clashes between AL and BNP supporters at Panjupara vote center Patuakhali’s Kuakata municipality. According to EC , the Awami League AL has fielded 228 mayor candidates against the BNP’s 225 candidates. There are 288 contesting as independent candidates — most of them dissidents of the 2 parties BNP and AL who could not get party nominations. 20 political parties are taking part in the Municipal elections in 234 municipalities on December 30, Voting for Munshiganj’s Shingair municipality will be held on Jan 7. Total 945 candidates are contesting for 234 mayoral positions. Municipal Election in Bangladesh will be held on January 12, 13, 17 and 18 in 269 out of 310 municipalities in eight divisions. 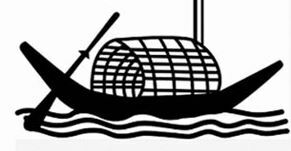 There are total 22 parties out of 40 registered political parties in Bangladesh have informed the Election Commission of their intention to take part in the municipal election 2016. On December 2, 2015 the Election Commission declared schedules for the elections to 269 municipalities in Bangladesh. 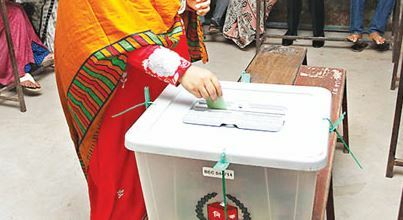 There are 1,223 aspirants for mayoral posts and 9798 candidates for councillors posts fielded nomination papers to contest forMunicipal Elections to mayoral positions in Bangladesh municipal polls. The number of candidates for councillors position for the reserved seat for women is 2, 668. The Election Commission has set December 30, 2015 for voting in 235 municipalities, for the first time on the party-line nomination for the position of mayors. The ruling AL party has fielded candidates in all the 235 municipalities while a large number of rebel candidates have also submitted nomination papers. Awami League warned the rebel candidates for disciplinary actions. s and they would also have to face rebels in a number of municipalities in different division. Bangladesh arranged 9 municipal polls respectively in the year 1973, 1977, 1984, 1989, 1993, 1999, 2004, 2008 (9 only) and 2010-11. 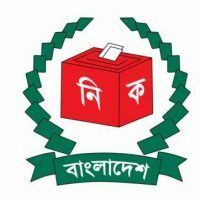 This is the first time the Bangladesh election commission has involved political parties in the local government Municipal election. BNP complains about municipal election 2016. 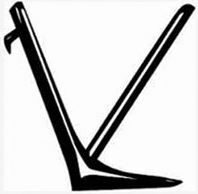 Bangladesh Nationalist Party – NP has complained to the EC about the declaration by the ruling Awami League – AL and their allies to field common candidates in the upcoming municipal Election 2016.
ith the CEC A T M Shamsul Huda December 7, 2015. Bangladesh Awami League files list of 236 candidates for municipal election 2016. The Awami League Office Secretary Abdus Sobhan Golap submitted the list of Awami Leagure 236 candidates for the post of mayor in 236 municipal elections to EC Joint Secretary Jesmine Tulion on December 3, 2015. Abdus Sobhan Golap later told media that 3 of the 236 municipalities going to the polls on December 30, 2015 because of a court order. The AL candidates list had been approved by party president Sheikh Hasina, according to Abdus Sobhan Golap. December 3, 2015 was the last date for submission of nominations for Bangladesh’s first-ever local government election on party lines. Municipal Election Bangladesh 2016 elected mayor list. Municipal Election Barguna Municipality Mayor..
Municipal Election Bhola Municipality Mayor..
Jhalokati District Jhalokati Municipality Mayor..
Municipal Election Patuakhali Municipality Mayor..
Pirojpur District Pirojpur Municipality Mayor..
Chittagong Division Bandarban District Bandarban Municipality Mayor..
Chittagong District Patia Municipality Mayor..
Municipal Election Cox’s Bazar Municipality Mayor..
Khagrachari District Khagrachhari Municipality Mayor..
Rangamati Hill District Rangamati Municipality Mayor..
Municipal Election Brahmanbaria Municipality Mayor..
Municipal Election Chandpur Municipality Mayor..
Comilla District Laksham Municipality Mayor..
Municipal Election Feni Municipality Mayor..
Lakshmipur District Lakshmipur Municipality Mayor..
Municipal Election Noakhali Municipality Mayor..
Municipal Election Savar Municipality Mayor..
Gazipur District Tongi Municipality Mayor..
Manikganj District Manikganj Municipality Mayor..
Munshiganj District Munshiganj Municipality Mayor..
Narsingdi District Narsingdi Municipality Mayor..
Narayanganj District Sonargaon Municipality Mayor..
Municipal Election Faridpur Municipality Mayor.. Breaches of the Municipality Mayor..
Gopalganj District Gopalganj Municipality Mayor..
Madaripur District Madaripur Municipality Mayor..
Rajbari District Rajbari Municipality Mayor..
Shariatpur District Shariatpur Municipality Mayor..
Khulna Division Khulna District Paikgacha Municipality Mayor..
Bagerhat District Bagerhat Municipality Mayor..
Chuadanga District Chuadanga Municipality Mayor..
Jhenaidaha District Jhenaidaha Municipality Mayor..
Magura District Magura Municipality Mayor..
Meherpur District Meherpur Municipality Mayor..
Narail District Narail Municipality Mayor..
Satkhira District Satkhira Municipality Mayor..
Mymensingh Division Jamalpur District Jamalpur Municipality Mayor..
Mymensingh District Mymensingh Municipality Mayor..
Netrokona District Netrokona Municipality Mayor..
Sherpur District Sherpur Municipality Mayor..
Rangpur Division Rangpur District Badarganj Municipality Mayor..
Dinajpur District Dinajpur Municipality Mayor..
Gaibandha District Gaibandha Municipality Mayor..
Kurigram District Kurigram Municipality Mayor..
Nilphamari District Nilphamari Municipality Mayor..
Panchagarh District Panchagarh Municipality Mayor..
Thakurgaon District Thakurgaon Municipality Mayor..
Lalmonirhat District Lalmonirhat Municipality Mayor..
Rajshahi Division Rajshahi District Godagari Municipality Mayor..
Natore District Natore Municipality Mayor..
Naogaon District Naogaon Municipality Mayor..
Bogra District Bogra Municipality Mayor..
Joypurhat District Joypurhat Municipality Mayor..
Pabna District Pabna Municipality Mayor..
Sirajganj District Sirajganj Municipality Mayor..
Sylhet Division Sylhet District Gopalganj Municipality Mayor..
Habiganj District Habiganj Municipality Mayor..
Moulvibazar District Moulvibazar Municipality Mayor..
Sunamganj District Sunamganj Municipality Mayor..